Solid album. The fact that all of the tracklisting bar "Alive" is covers is a letdown however I enjoyed all of the covers so I enjoyed this. 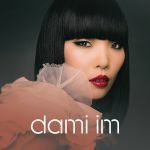 Looking forward to Dami's original material. I will say that her covers are much more enjoyable here than they were on the show. I find her to be much less screechy here, which is probably because for some reason voting television audiences seem to think that screeching = amazzing singing and talent, but that it's not really what she wanted to do. I'd like to think she doesn't want to be so screamy anyway. I enjoy Alive despite it's generic nature and I think she has talent, but I really can't imagine a place where she'll fit in today's market so I'll be interested to see what comes of any original material for her. I hope there is some and she doesn't just resort to covers, because for me I didn't enjoy any of the covers close to the originals.